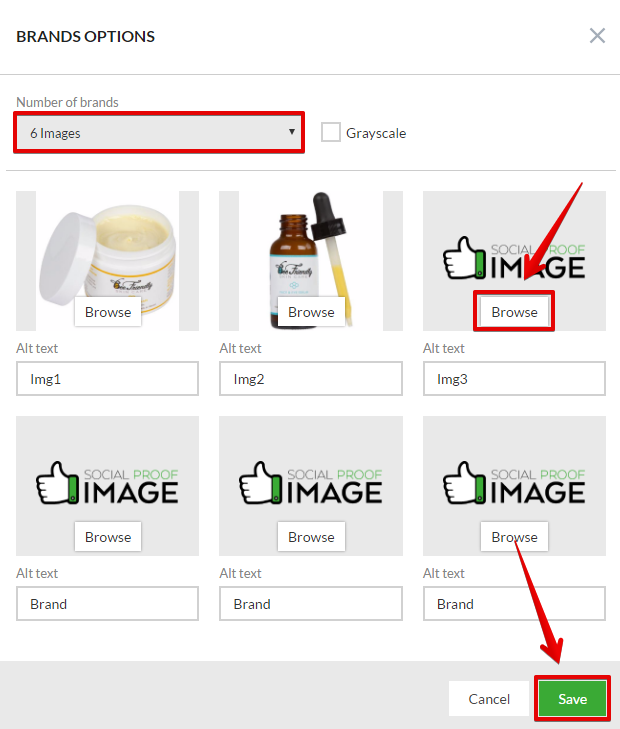 This block allows you to display a row of brands or other small images such as social proof. This block allows you to display a row of brands or other small images such as social proof. The added images will be formatted automatically and placed proportionally within the block. 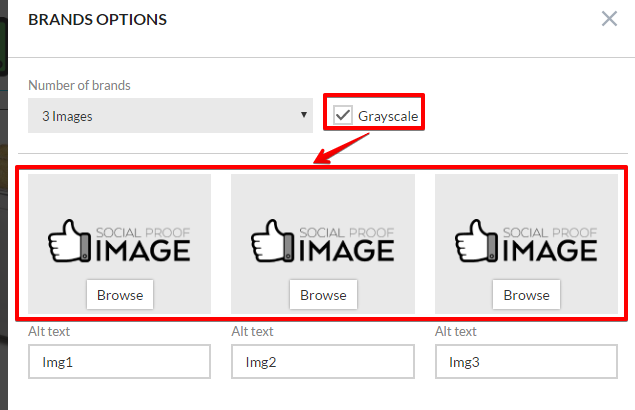 You can select as few as 3 images or as many as 6 images per block. Just select the number of images you want from the "Number of brands" dropdown menu and then upload an image for each position. Note: The "Brands + Copyright" block in the Footers section has a max of 12 images that can be shown, but they will appear much smaller than the "Brands / Icon Section" block images. Additionally you can add an "Alt text" for each image. If the image fails to load on the published page, the Alt text appears in a blank box that would normally contain the image.